A précis map represents the locations of different categories of information, for example vegetation type. Task: Examine a topographic map of an area you have studied. 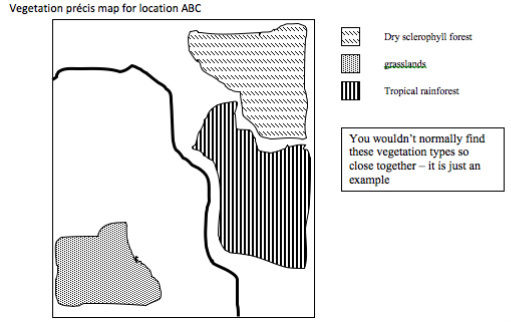 Create a précis map showing the major vegetation types in the area.